The crux of this enterprise, and its self-fulfilling curse, is made explicit many times over, but synopsized by none other than Sir Thomas Dale, deputy governor of Jamestown, after a murderous, vengeful attack on the Nansemond tribe “…to spread our dominion. Our borders are to overflow. Drake brought the world to our plate and our tongue is greased, its avarice upon our nation’s lips.” The Leaves of Fate is an epic tale and Minkoff has chosen to mimic the language of the time. If its cadence seems overwrought to the modern ear, its descriptive powers are worth the struggle. This is an admirable and captivating account of the rough and costly early years of our history, scrupulously retold by a master storyteller. 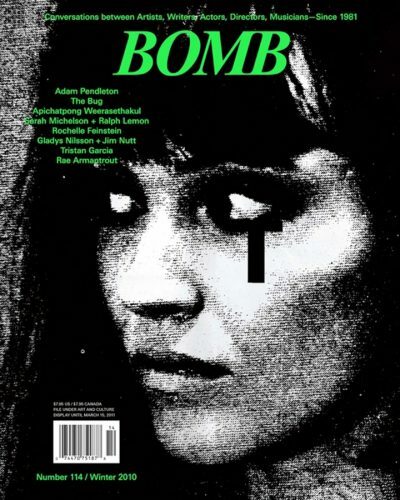 Betsy Sussler is BOMB’s editor-in-chief.